Black Mirror Season 3 Trailer Released! Gorgeous look, classic design, wonderful special fx and lights. High Screen Accuracy. A tad on the quiet front and lacks ability for private calls but other than that it is a delight to own. A must have gift for all die hard Trekkies. There are few television shows that fire the imagination like Star Trek. Ever since it was aired 50 years ago Trek has inspired engineers and scientists the world over with its innovative visions of the future. Whilst warp drive and teleportation are still in the realms of Science Fiction some of the predicted 23rd Century technology has permeated down into 21st. Such is Trek’s impact on modern technology, news outlets are quick to make comparisons with headlines proclaiming that Trek predicted the iPad and video conferencing. 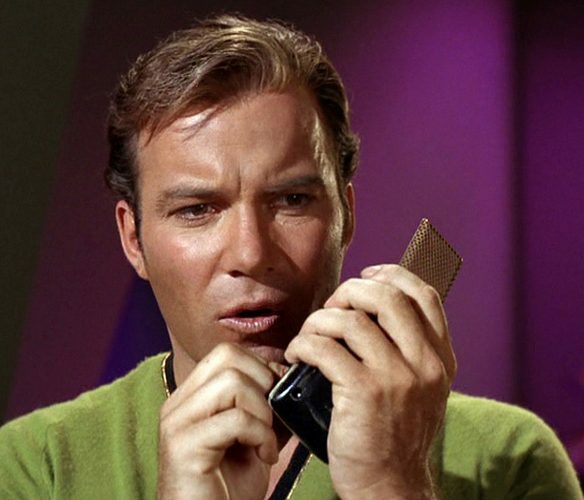 One comparison is often attributed to the miniaturising and mobilisation of the phone is the Classic Star Trek Communicator. 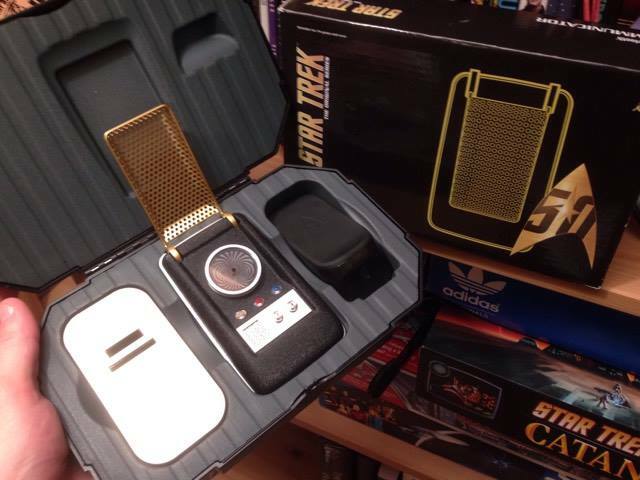 Created for the show by Wah Chang, it was meant to be a realistic yet futuristic way for the crew to contact the Enterprise whilst on away missions.The black surface with silver trim, gold grill and moiree pattern with its cricket like chrip when activated became a design classic; an instantly recognisable sci fi prop comparable with The Doctor’s Sonic Screwdriver and Luke Skywalker’s Lightsaber. 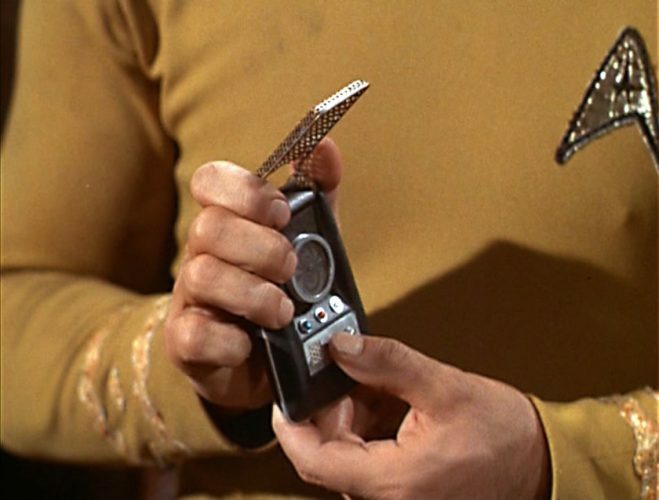 In 1979 when Star Trek The Motion Picture was produced, they done away with the hand device for a wrist communicator only to bring it back in The Wrath of Khan because producers believed they had lost something truly iconic. 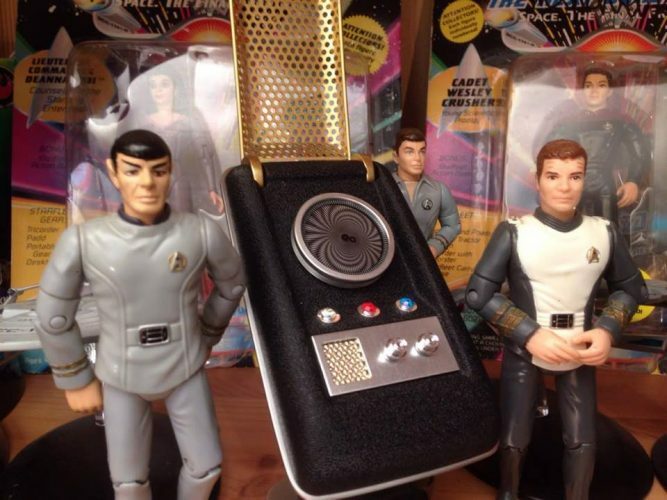 There have been replicas from Playmates in 1994 and Diamond Select in 2006 which have been praised for accuracy but now The Wand Company have created the holy grail for Trekkies around the world; a functions working Bluetooth Communicator. First off it comes in a rather fetching carry case embossed with NCC 1701. Inside it comes with it’s magnetic display stand which doubles as a charger. 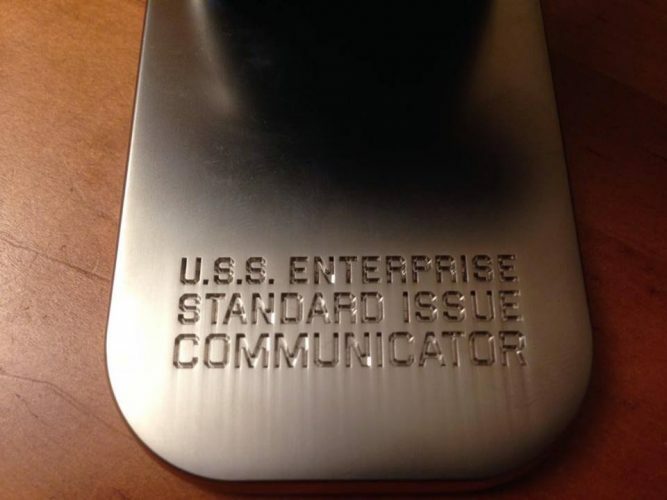 The actual communicator has a decent bit of weight on it. The grill is real metal and opens with the trademark flick of the wrist and the signature chirping. When activated there is a fully functioning moiree design in the centre spot. This is a physical animation similar to that used on the original hero model used on screen which incidentally worked with a clockwork design. There are three jewel lights that emanate at the front as well as two buttons, the right one that has a joystick control. 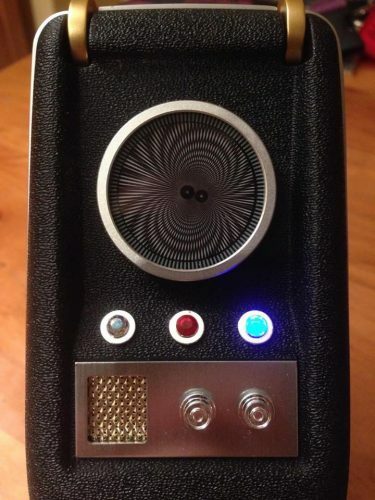 Learning these controls is tricky at the start but once you get the hang of them they emit classic call and response phrases so you can make believe you are conversing with Spock, McCoy, Scotty etc. When connected the buttons allow you to interact with your mobile phone by activating the voice command i.e. Siri on the iPhone. The device can also be used as a Bluetooth speaker. My one criticism it is not loud as it could be and that use in public would eliminate any private phone calls. However I love using it in the home as a personal speaker phone whenever someone calls me. Its gives me a child like giddy joy to use it to make actual phone calls. As an authentic looking prop its faultless. It would make a perfect addition to any screen accurate cosplay. What’s more to say about this hand held holy grail. All I can say is if you are a fan of The Original Series and love classic retro design with a splash of real world functionality then this is the product for you. In one word; it’s gorgeous. 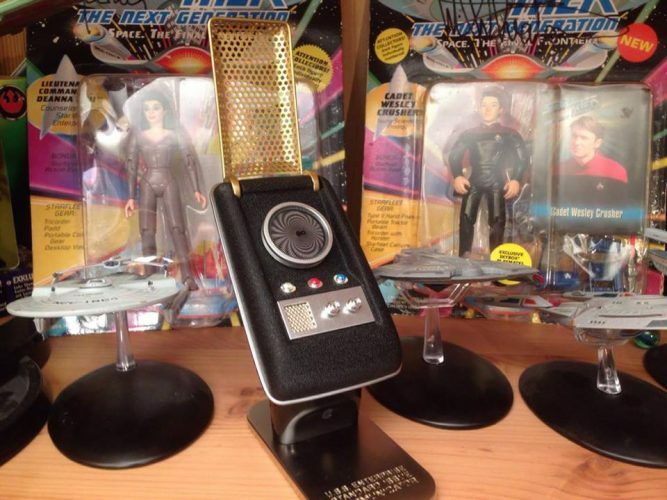 Stay tuned to this hailing frequency for Geek Pride’s Review of The Wand Company’s Star Trek Universal Remote Control and your chance to WIN one with its display box SIGNED by none other than William Shatner aka Captain Kirk.